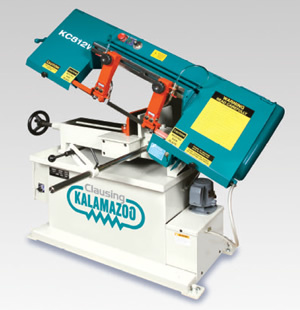 Nice 8 inch capacity horizontal band saw, manual operation, 1 horsepower motor. This band saw offer a coolant recirculating system, 2 year warranty. Capacity for round bar is 8 inch, square capacity is 7 inches, wow. Blade (W x T x L) 1in x .035in x 8ft-11in ..
Rectangular (H x W) 7" x 14"